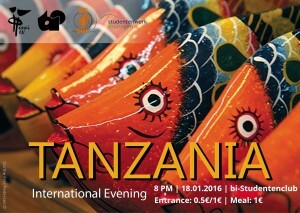 International Evening: Tanzania – ISWI e.V. 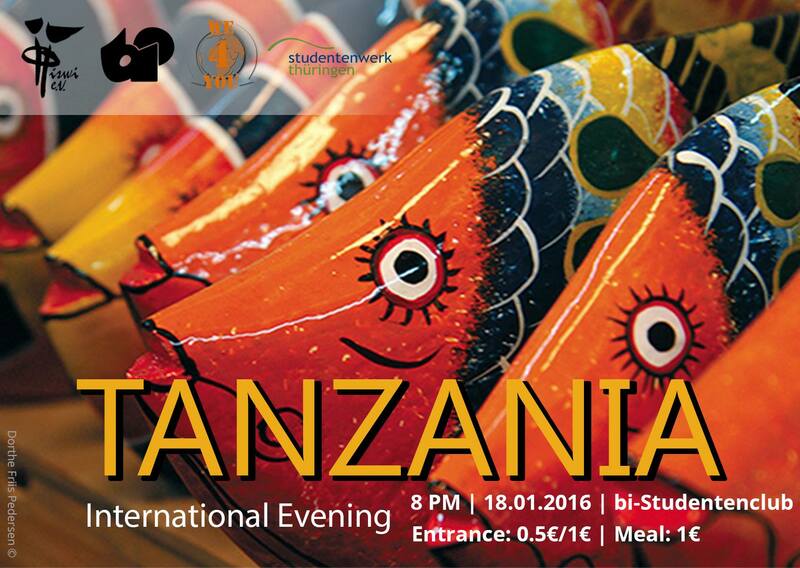 Come and taste east-african culture at the Tanzanian evening. There will be a mixture of special-occasion food and the everyday specialities of Tanzania. In the presentation you’ll discover some facts about the Big5’s home, the beautiful Zanzibar, the highest mountain in Africa as well as many more interesting facts of East Africa. After the presentation there will be a short workshop/presentation of a traditional dance and of course you’ll hear some of the most beautiful songs of Bongo Flava, the Tanzanian music.